A recent op-ed written by E.P. Clapp Distinguished Professor of Politics and professor of Urban & Environmental Policy (UEP) Peter Dreier, “Should Oxy rescind an honorary degree to a racist recipient?“, has ignited a debate on campus about Occidental’s historic relationship with eugenicist Paul Popenoe. Popenoe was recognized by the school with an honorary degree in 1929 and received the Auld Lang Syne Award in 1976. 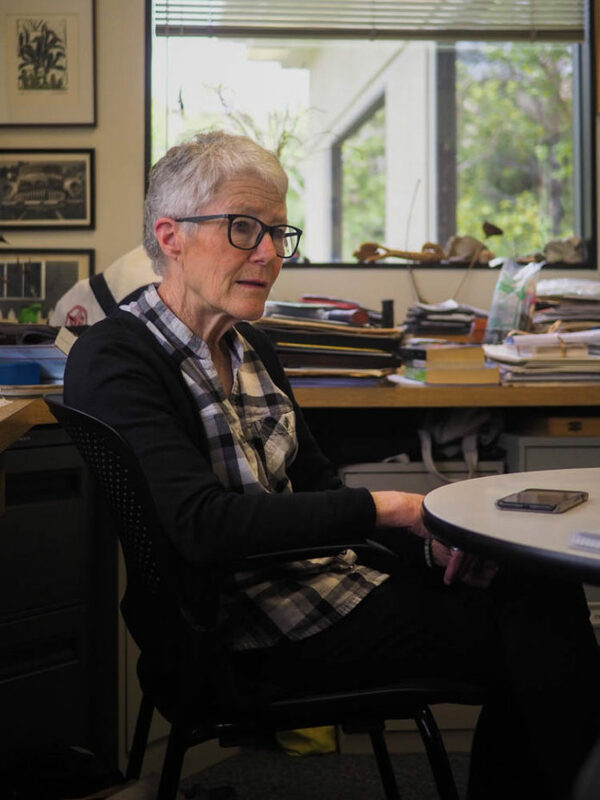 Calls for the revocation of the degree throughout the Occidental community place increased pressure on the next board of trustees meeting, which is scheduled for the end of April, according to Secretary of the College and Interim Assistant Dean of the Library/CDLA Marsha Schnirring. The board of trustees adopted an official Honorary Degree Revocation Policy in 2015 when the college revoked Bill Cosby’s honorary degree, according to Schnirring. Occidental College awards honorary degrees to individuals “whose extraordinary accomplishments have advanced the scope of human understanding” or “have made a positive difference in the lives of their and our community” or “whose work helps create and sustain opportunities for those whom opportunity is often denied by history, policy, or circumstance,” according to a statement on honorary degrees adopted by the board of trustees Feb. 11, 2003. Biology professor Gretchen North is the president of Occidental’s faculty council. Immediately after the publication of Dreier’s article, the faculty council began discussing taking an official stance in support of rescinding the honorary degree, according to North. North pointed to the 2015 revocation policy as grounds for rescinding Popenoe’s honorary degree. She specifically cites a clause which affirms that an honorary degree shall be revoked if there would be a “deleterious” effect on Occidental’s community or core values if it is not revoked. Professor North plans to release a letter on the behalf of Occidental faculty, staff and administration publicly calling for the revocation of Popenoe’s degree. Emily Zepeda (first year) is a juror on the Associated Students of Occidental College (ASOC) Honor Board. Zepeda said that discovering Popenoe’s honorary degree and the Townsend Crosthwaite blackface photo incident have made her uncomfortable as a student in recent weeks. However, Zepeda said she believes there is a chance for Occidental to learn from its mistakes. ASOC president Jacques Lesure recently established the ASOC Direct Action Committee in response to these recent events, according to Zepeda. Both the renaming of the Townsend Crosthwaite pool and the revocation of Popenoe’s degree are among the Direct Action Committee’s demands for Spring 2019. Professor Thalia González is a Politics professor who specializes in restorative justice. “It concerns me — and this is true of Occidental and I think this is true of a lot of colleges and universities — that there hasn’t been attention and focus on the larger historical context of higher education in perpetuating violence in a whole spectrum of ways,” González said. Identifying how colleges and universities have both benefited from and contributed to ideologies that have resulted in genocidal actions is essential to understanding the issue at hand, according to González. “To have an institution ignore that they not only honored that individual once, but twice, is not only problematic, but it raises fundamental questions about whether there is an alignment with your mission that you put out to the world and then the values and principles that you adhere to and that you ask your faculty, students and staff to adhere to,” González said. The current relevance of this issue is that institutions perpetuate the ideas that have fueled and continue to fuel violence in many ways, according to González. Brian Clearwater is a professor of religious studies who focuses on religion, race and law in Native American and Indigenous studies. Many of the ideas fundamental to eugenics still affect public thought today, according to Clearwater. Occidental has an obligation to use its voice for positive change, according to Clearwater. As Occidental’s students, faculty, staff and administration continue to condemn Popenoe’s theories and research, the ultimate decision to rescind the honorary degree will rest with the board of trustees, according to North.